You’ve probably seen all kinds of vegetable combinations coming out of my kitchen. The fact is, that I adore veggies, especially when they are sautéed or roasted. They are the part of the meal that I look forward to the most. As soon as I load up my plate with meat, starch and veggies, I will pounce on the veggies first. For the first 8 years of our married life, Sergi and I were apartment dwellers. Now that we have our own home with a backyard and grill handy, we make good use of it. With the grill only a few steps away from our kitchen, it makes it very easy to prep everything in the nice, air conditioned house, step outside to put the food on the grill (keeping all the heat and cooking mess out there) and in just a short time enjoy some charred, crisp but tender vegetables. 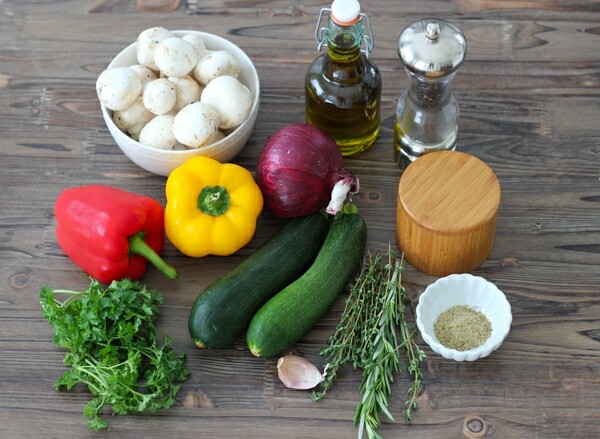 This is my favorite combination – zucchini, peppers, tomatoes and red onion. The mushrooms add so much heartiness to the kebabs, you could serve this to vegetarians, since it’s very filling, but it will make all the meat eaters happy too. We all appreciate tasty food, don’t we? Cut all the vegetables into the appropriate size, so that they all cook at the same rate. 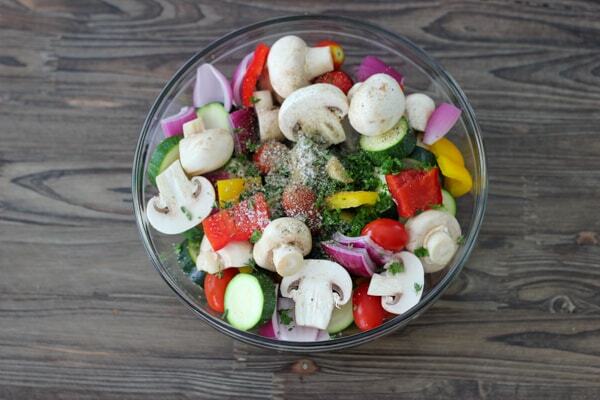 Place all the vegetables in a large bowl. Add the olive oil, minced garlic, dry herbs, fresh herbs and minced garlic. Sometimes, I also add some balsamic vinegar, or other vinegars, like red wine vinegar, or sherry vinegar. It adds really great flavor, sweetness and acidity. Mix to combine. Thread all the vegetables onto metal or bamboo skewers. 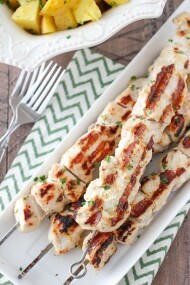 You can place them on the skewers in any order, just make sure to end the skewer with a pepper or a mushroom. The zucchini, tomatoes and onions may slide right off and then can go between your grill grates when you’re flipping them over or taking them off the grill. Preheat your grill on high for at least 15 minutes, covered. Clean the grill grates and then use a wad of paper towels dipped in oil and a pair of tongs to brush over the grill grates several times. 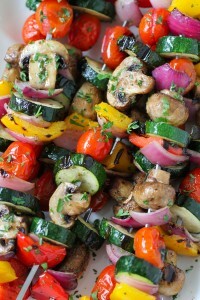 Place the kebabs on the hot grill, decrease the heat just a bit to medium-high heat and grill for about 15 minutes total, turning them over halfway through, just until the vegetables and mushrooms are tender and as golden as you like them to be. Sometimes, I like to keep the mushrooms whole and place them on separate skewers and grill them longer, so they get a nice char, otherwise, the rest of the vegetables will be too mushy and falling apart. 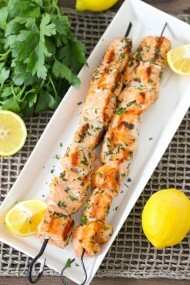 Garnish the grilled kebabs with more fresh herbs. Cut all the vegetables into the appropriate size, so that they all cook at the same rate. 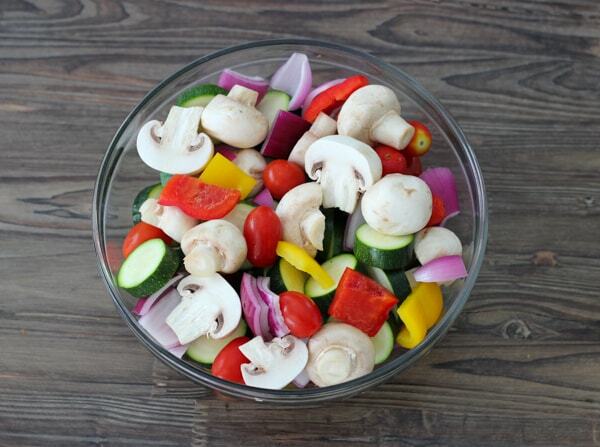 Place all the vegetables in a large bowl. Add the olive oil, minced garlic, dry herbs, fresh herbs and minced garlic. You can also add balsamic, red wine or sherry vinegar. Mix to combine. Thread all the vegetables onto metal or bamboo skewers. 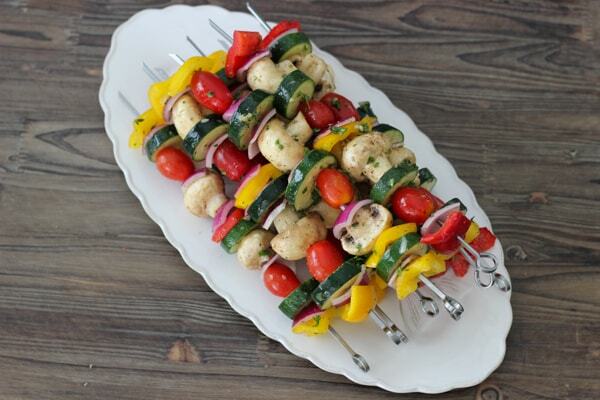 You can place them on the skewers in any order, just make sure to end the skewer with a pepper or a mushroom. The zucchini, tomatoes, and onions may slide right off and then can go between your grill grates when you're flipping them over or taking them off the grill. Preheat your grill on high for at least 15 minutes, covered. 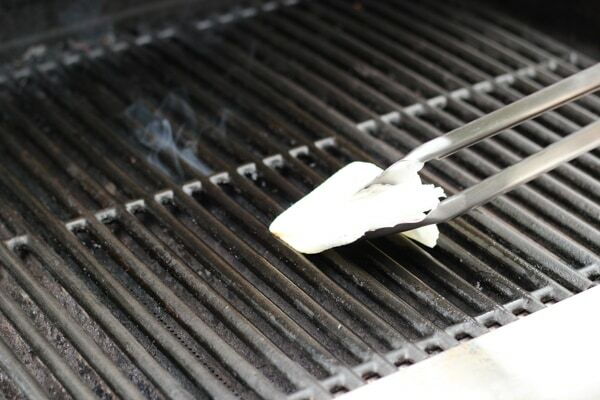 Clean the grill grates and then use a wad of paper towels dipped in oil and a pair of tongs to brush over the grill grates several times. 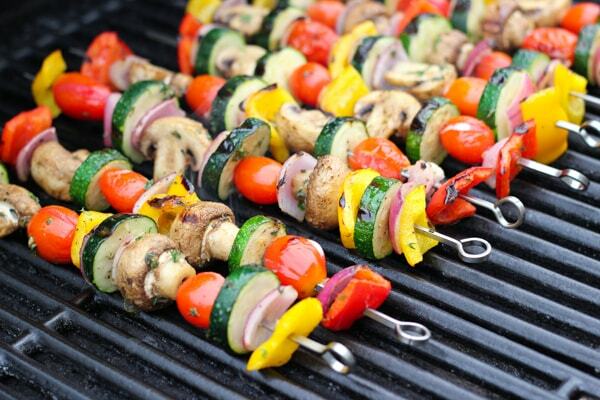 Place the kebabs on the hot grill, decrease the heat just a bit to medium-high and grill for about 15 minutes total, just until the vegetables and mushrooms are tender and as golden as you like them to be, turning them over halfway through. 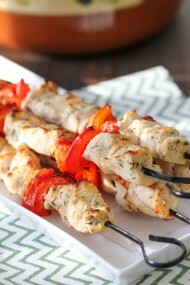 Garnish the grilled kebabs with more fresh herbs. 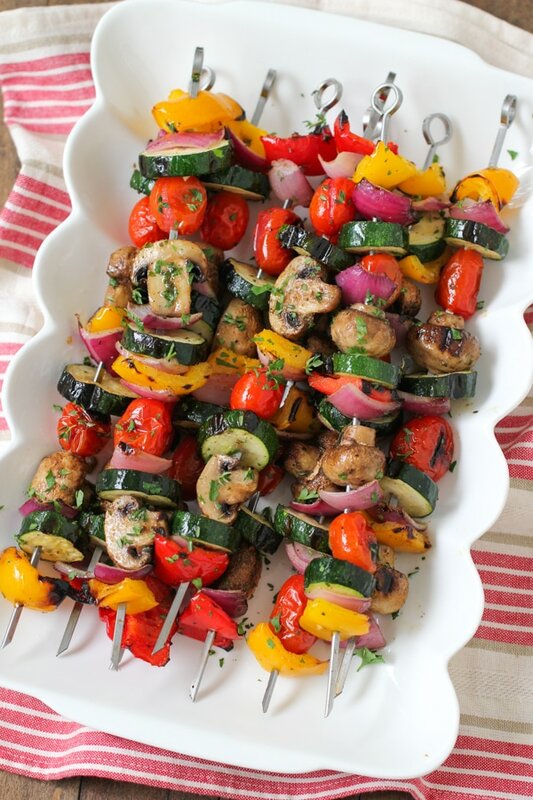 Sometimes, I like to keep the mushrooms whole and place them on separate skewers and grill them longer, so they get a nice char, otherwise, the rest of the vegetables will be too mushy and falling apart. Hi Olga, these look delicious! 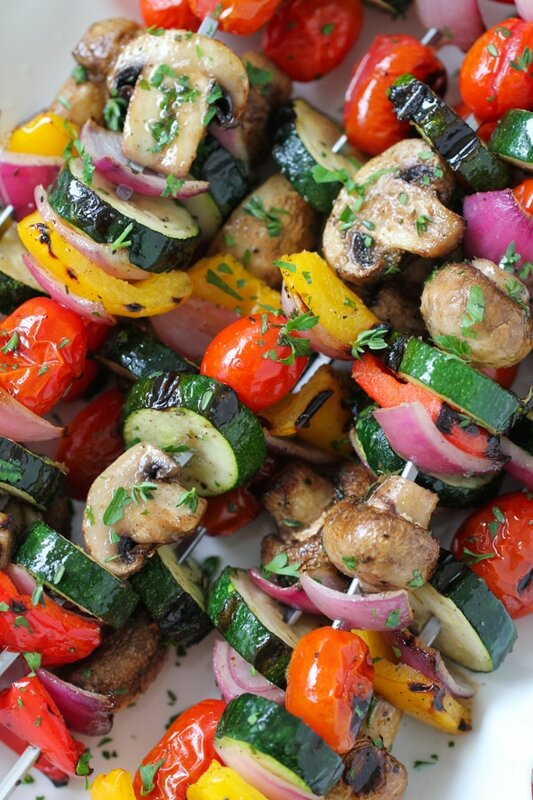 Grilled veggies are my favorite. 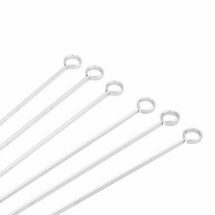 Could you recommend some good metal skewers? 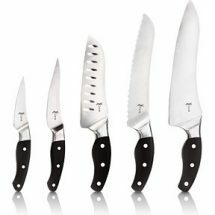 I’ve been using wooden ones and was planning to buy metal ones since we grill so much. Thanks so much. Good Bless. These look so good!! Could I prep these in advance?